NEW YORK (July 31, 2012) — Fifteen years ago this month four Australian athletes died when the bridge they were crossing collapsed over the Yarkon River in Israel. But only one of them died from the fall. The other three were killed by something more unexpected: The river's pollution. The bridge collapsed on July 8, 1997 during opening ceremonies of the Maccabiah Games. The structural failure left 67 Australian athletes who had been crossing the bridge scrambling to escape the water. They were taken to the hospital for routine inspection, and although one died en route because of physical injuries, the rest of the delegation seemed well — until some of them mysteriously started suffering from respiratory failure. Three more died and 35 others suffered maladies, some from exposure to pseudallerscheria boydii, a dangerous fungus that takes hold in the lungs and spreads to other vital organs. Although no industrial effluents or unnatural poisonous materials polluted the river, the organic pollution from domestic effluents was so heavy that this toxic fungus developed in the anoxic — oxygen-deprived — environment of the river bottom, according to Dr. Sarig Gafny, a specialist in stream restoration at the Ruppin Academic Center and former head of the school’s marine science department. The force of the bridge collapse and falling athletes churned up the bottom of the river and brought the fungus into the water to which the athletes were exposed. The delegation’s youngest athlete, 15-year-old Sasha Elterman, survived only after undergoing more than 30 brain and lung surgeries. The tragedy brought the extreme toxicity of the Yarkon River to worldwide attention and opened a window into Israel’s decades-long neglect of its precious water sources. In the mid-1950s, the springs at Rosh Ha’Ayin — the main feeder to the Yarkon River — were diverted for agricultural purposes. By 2000, spring discharge into the Yarkon had plummeted to less than one percent of its historical base flow, leaving the river unable to dilute polluting effluents. The Maccabiah disaster three years earlier, although perhaps an eye-opener to some, did not mark the nadir of the river’s health. In the early 1990s, the authority concentrated on routine maintenance and monitoring of the river’s ecosystem and functions. In 1994, the authority was legally granted more extensive powers to fine polluters, charge them cleanup costs and stop further pollution. But its annual budget remained a mere $400,000 and immediate political concerns overtook environmental necessities. Despite the authority’s goals and increased powers, the naturally clean headwaters of the Yarkon continued to be diverted for irrigation and polluted by untreated or partially treated wastewater dumped by municipal bodies. The Maccabiah tragedy highlighted the unsafe and unsavory state of the river. In its wake, the minister of environment requested additional funding and the Yarkon River Authority continued to advance restoration projects. And creating recreation areas for boating, hiking and biking. JNF Australia also decided to take on the challenge. From 2004 to 2005, in response to the Knesset’s designation of the project as one of “national importance” and as a tribute to the fallen athletes, the organization contributed to funding the river’s rehabilitation. Mekorot, the Israeli national water company, is slated to finish its major water-reuse project within three years, said Pargament. Ecologically, the rehabilitation has been a tremendous success. Swimming in and drinking from the river are still prohibited — but the Yarkon is now home to fish, birds of prey and mosquito predators performing at a natural level, according to Pargament. Last year, the authority did not have to conduct mosquito larvae spraying, indicating that the river’s ecosystem is naturally balanced and functioning. “Usually polluted waters require some type of treatment against mosquitoes,” Pargament said. Gafny, who conducted studies of the Yarkon 10 and 15 years ago and is currently conducting another, said “there is a huge improvement now” in terms of water quality, biodiversity and ecosystem functioning. He said that the “heavily polluted” central section of the river, the 22-kilometer stretch that includes the spot above which the Maccabiah bridge collapsed, continues to carry many effluents, but of significantly higher quality than the effluents of 10 years ago. Nutrient loads and dissolved organic matter, the main pollutants found in effluents, were present in quantities 10 to 40 times greater than they are today, and the river’s ability to retain nutrients is now high and uniform throughout the river. Ten years ago, the central section contained half the number of taxa of invertebrates present in the upper section, which is not in Tel Aviv and was never subject to significant pollution, and today the numbers are equal. The Authority has a website full of clear reports and it publishes a free bicycle map that is in high demand. It also works with interest groups, coordinating for events and providing information and advice. Still, maintaining the results through constant monitoring and management is “a major task in itself,” said Pargament. Fifteen years after this deadly disaster, Israelis and environmentally-minded Jews can take comfort in the Yarkon’s vastly improved water quality, restored biodiversity, and newly deserved popularity as a recreation spot thanks to the energetic efforts of the government and non-governmental organizations, particularly the Yarkon River Authority, JNF Australia and Keren Kayemet L’Yisrael / Jewish National Fund in Israel. And the ongoing success of this first major rehabilitative undertaking in an Israeli river is serving as an example to fledgling efforts to rehabilitate other mismanaged, polluted rivers throughout the country. Although no efforts as ambitious and as well funded have been launched for other rivers, plans are under way. “Many rivers are undergoing rehabilitation projects but (they are) much more limited, both in funding and in efforts, than it is in the Yarkon River,” said Gafny. The Maccabiah disaster may not have been a turning point for the river or for the government’s efforts, but it certainly brought more public attention to the existing environmental problem. 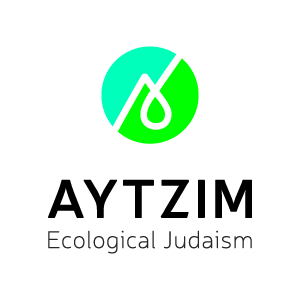 Today, the Yarkon’s decline has been decisively reversed, and although no body of water can ever return to its naturally pristine state, the recovery of the Yarkon has set a precedent for what is possible.